Thoughts from a Buttonmonger: Scary Dolls! 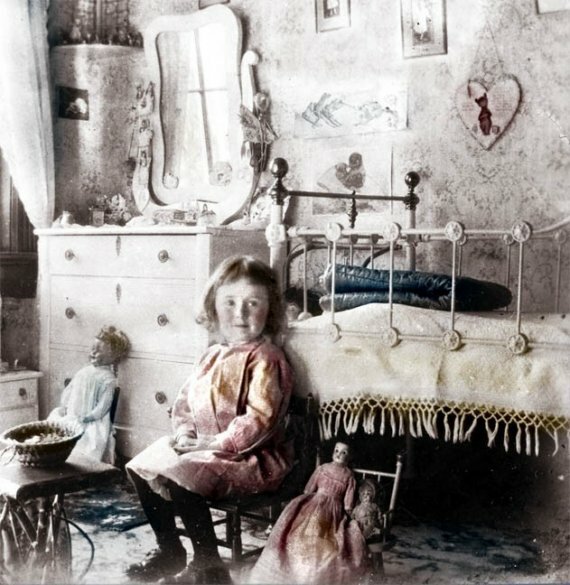 A little girl in her room. It looks like a pretty nice room. The dolls are pretty scary though!